Paper Cup Manufacturing Business is very volatile and continuously changing its shape such that veterans like Leslie or Steve have to be constantly on their toes in order to know what is happening in coffee, the coffee-cup market and to be able to predict future possibilities. Organic Coffee Market has been growing at a rapid rate and its expansion is hugely attributed to the fact that technology is fast evolving, competition is increasing daily and the development of innovative marketing strategies especially in a very competitive environment where most coffee drinkers are demanding more and the shop owners are forced to keep up with the growing demand. With consumers increasingly becoming conscious of their lifestyle and the need to develop healthier habits, most of them are steadily turning to organic products. This, according to the recent research published by the HTF-Marketing Intelligence has led to organic coffee becoming more appealing than the traditional coffee and its market is poised to flourish in the coming years. Note that Organic Coffee is grown without the use of synthetic pesticides or fertilizers. The land which it is grown on is normally given an adequate amount of time to detoxify naturally and even soil organisms that are genetically modified are not used. Equally, the coffee is processed and packed without any chemical. Organic Coffee has received so much praise because it contains multiple health benefits and it does not contain toxic residues from synthetic pesticides, herbicides, preservatives, added colors or flavors. Furthermore, it is considered to be a product that is environmentally friendly because chemicals are not used in the production, processing and also packaging. Small animals such as squirrels, rodents or birds have no any risk of getting poisoned or killed by this type of coffee. Like all other varieties of coffee, the organic coffee must undergo different processes before it ends up in a cup. The two main milling techniques are wet milling and dry milling. In Dry Milling, the coffee beans are separated from berries which may have been dried by the sun or a drying machine. Wet Milling uses water to separate the coffee beans from the berries and it’s the best way of producing fine gourmet beans although it’s a lengthy process that is costly. Wet milling is often used by large coffee firms. After the coffee beans have been separated, the next process is roasting them and special roasters are used to sort, roast, cool, stabilize and thereafter they are packed. Coffee beans can be hot-air roasted or drum roasted and since they are organic, no flavors, additives, gases or chemical salts are added to influence the taste of the natural flavor. 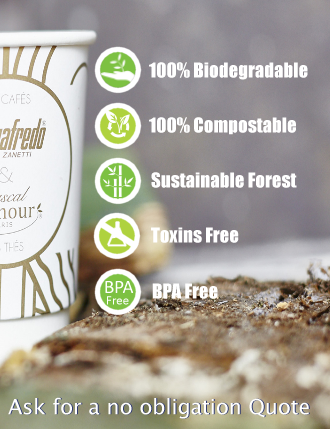 Organic coffee is sold under different sub-categories depending on the farming method and environmental contribution. The main varieties of organic coffee are Coffea Canephora i.e. Robusta and Coffea Arabica. Arabica is known to have a superior quality compared to Robusta. Organic Coffee can also be decaffeinated. Coffee that is organic shade-grown is cultivated under the natural shades of tropical trees. Its growth is relatively slow although its flavor is unique and the taste is exquisite. Popular types of Shade-Grown Coffee include organic reduced-shade, organic traditional-polyculture and organic rustic. Because they are less abundant, Shade-Grown Coffee is pricier than the other types of coffee. Organic Bird-Friendly is similar to Organic Shade-Grown only that the cultivation of the former is mainly concerned with preservation of birds’ natural habitat. This type of coffee is mainly cultivated on the fertile soils of Kona, Hawaii. Pesticides and fertilizers are not used in these farms and the growth of coffee found here exclusively depends on the soils that are enriched with the volcanic lava and ash. Pests are controlled by using biotic means and organic fertilizers are used on the plantations. Organic Kona-Coffee has a distinct taste that is unique and its flavor is hugely defined with soil and climate. It’s obtained from the raw coffee beans and its taste depends on factors such as the soil type, climate, altitude and method of processing. Organic Green-Coffee has been proven to be rich in antioxidants with very high amounts of chlorogenic acid and it is effective in the neutralization of free radicals, boosting metabolism and energization of the body. Most coffee-shop owners and coffee producers have adapted to organic coffee in order to cater for the taste buds of the coffee lovers. Ranked as the premium-quality coffee that is made from the best types of organically grown Coffea Arabica, organic gourmet-coffee is moistened by soaking or spraying organic flavors like mocha, mint, amaretto, vanilla, almond, and caramel. It can also be decaffeinated but this slightly compromises the taste. Organic coffee is highly sought after like coffee pods, and just like tea bags, the pods are made of cloth or filter paper and they contain grounded organic coffee. Note that all varieties of organic coffee should bear suitable certification with the most popular ones being USDA National Organic-Program (NOP), Global Organic Textiles-Standards (GOTS), Quebec Organic Reference -(CAAQ), IOFAM Basic Standards, Indian-National Programme for Organic-Production (NPOP) and European Organic Regulations-EU 2092/91.